Linden Lumber is excited to be exhibiting August 24th – 27th at the International Woodworking Fair in Atalanta, Georgia. The IWF is one of the top woodworking trade shows in the world for furniture manufacturing, architectural woodwork, custom and general woodworking industries. Linden will be located in Booth #4120 and will have samples showcasing our exceptional red oak, white oak, ash & pine lumber. We look forward to visiting with new and existing customers and to learning about the latest trends in the furniture & interiors market. To learn more about IWF 2016, please click here. If you are in the Atlanta area, stop by the Georgia World Congress Center and visit with our team and learn how Linden is continuing to Redefine Southern Lumber! 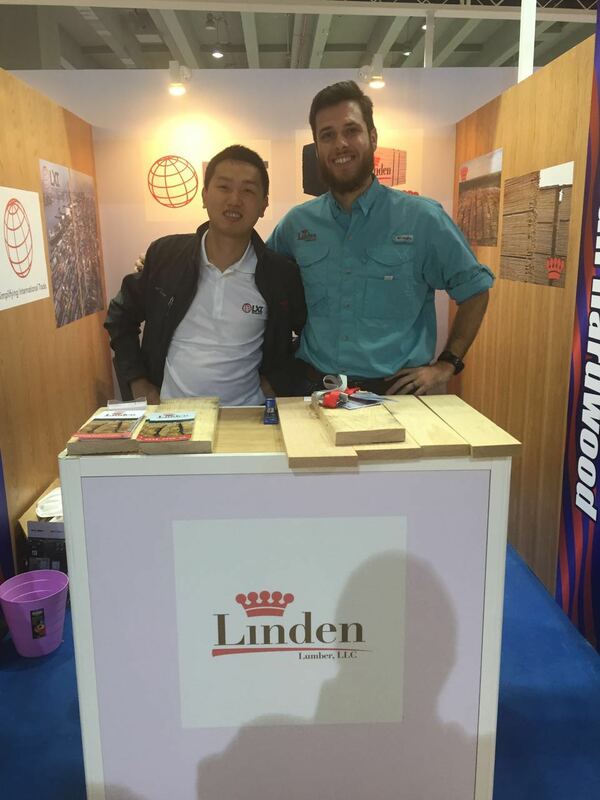 Linden Lumber recently returned from exhibiting at the VietnamWood Show in Ho Chi Minh City! We were accompanied by our friends at the American Hardwood Export Council where we showcased our products in the North American pavilion. 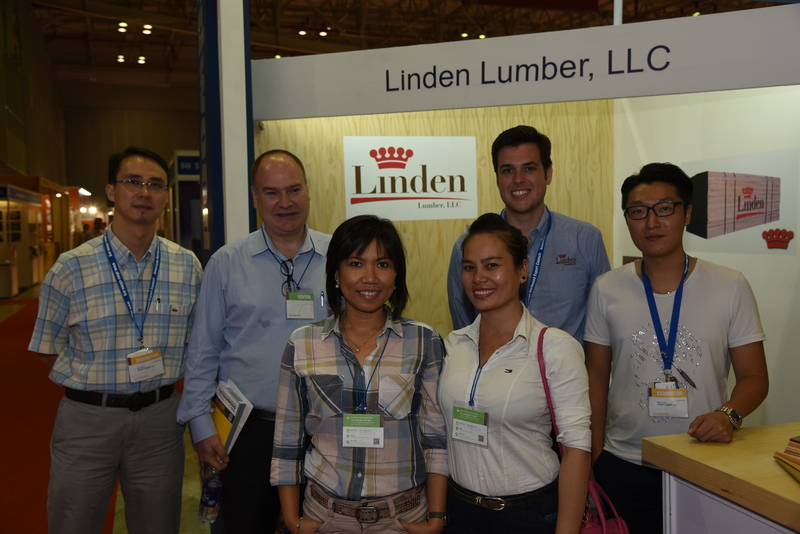 Glen Wang and Harry Liang from our Chinese sales team were able to join us as we met several new clients including Pier Friis Knudsen with A/S Global Timber (pictured). In fact, we recently completed our first direct export sales into Vietnam and look forward to exploring additional markets for our White Oak lumber! This was our first time experiencing incredible Ho Chi Minh City and we look forward to returning in 2017 for the next show! For more information on the VietnamWood Show, please click here. 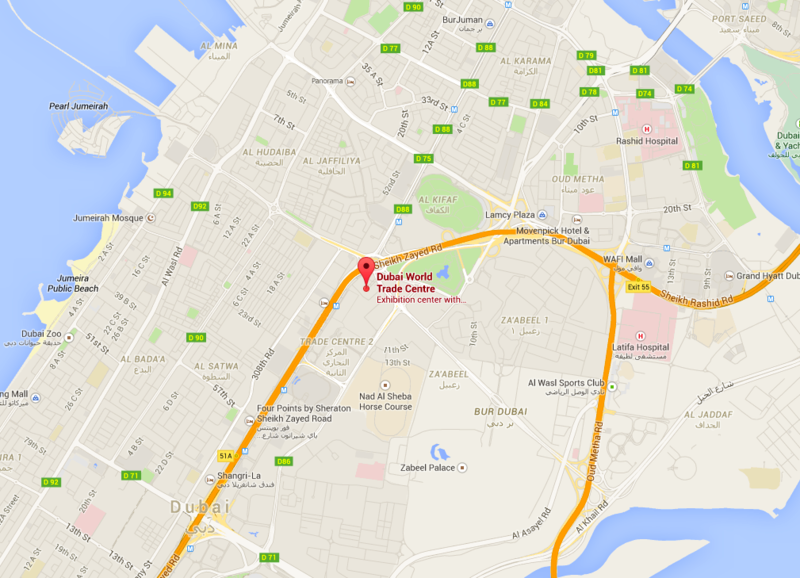 For more information on our products, please click here. 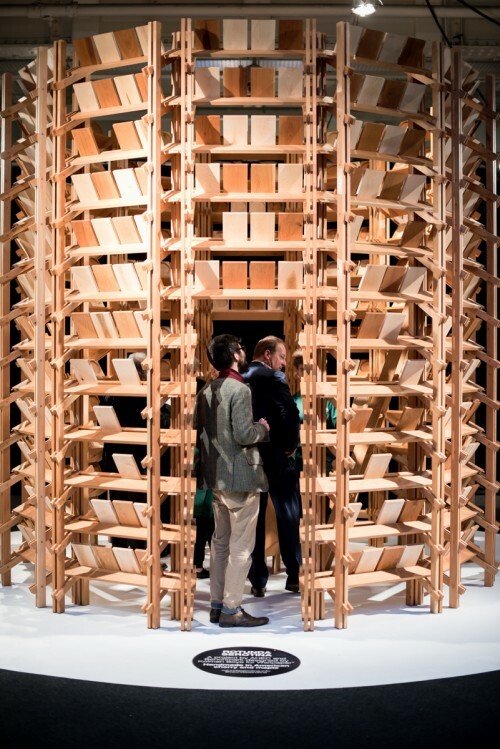 Linden Lumber is excited to be at the epicenter of European furniture & design for the next few days at Interzum 2015! Held in Cologne, Germany, Interzum is the place to see European design trends and how wood will be used in the coming seasons. 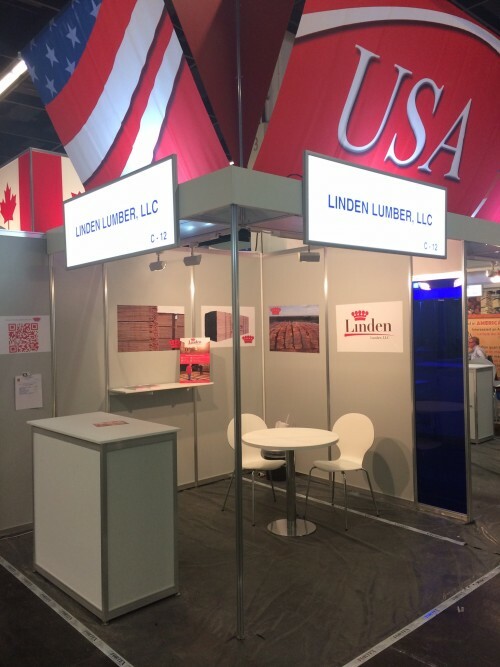 Linden Lumber will be located in Hall 5.1 Booth C12 in the American Pavilion. 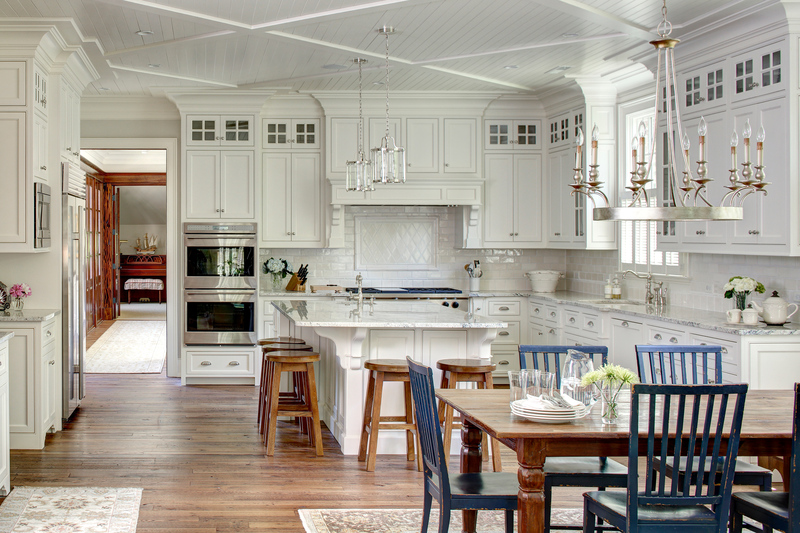 We are looking forward to working with current & new clients to learn how they are using hardwoods in interior design & structural applications. We look forward to hearing from you, and please leave your comments below! For more information about Interzum, click here. For more information on our products, click here. 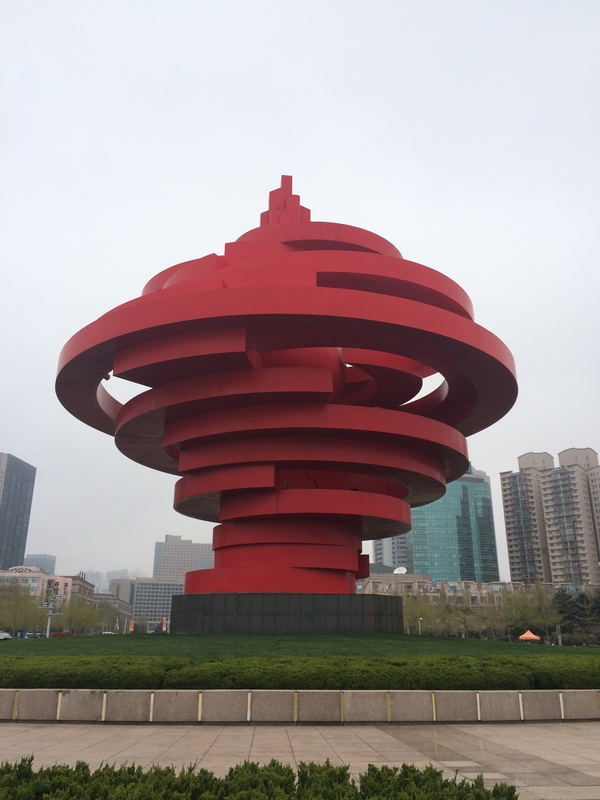 On April 18th and 19th, Linden Lumber will be visiting the 12th annual Qingdao International Furniture Fair in Qingdao City, Shandong province, China. 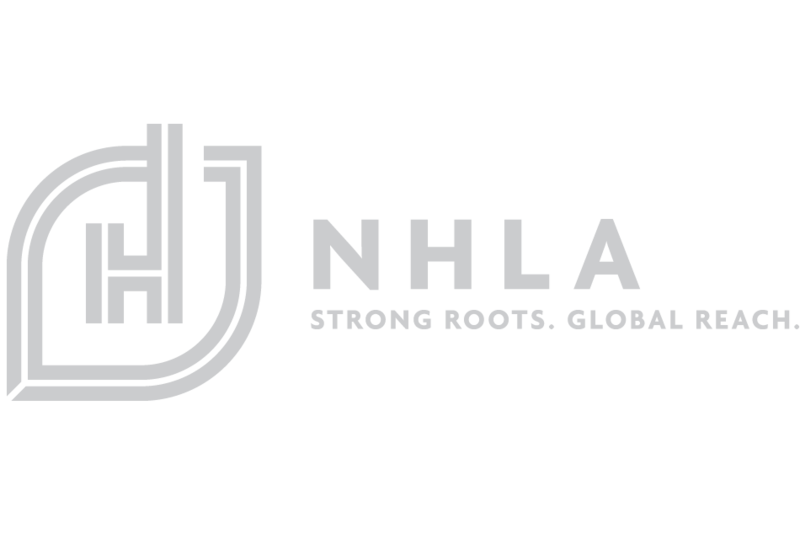 While we have been exporting directly to China for almost a decade now, we are enthusiastic about the opportunity to meet with manufacturers and importers at the show and in the surrounding area. We look forward to seeing you at the show! We’re pleased to announce that Linden Lumber will be attending the Dubai Wood Show in the United Arab Emirates from April 14th – 16th. We will be in the American Stand with our partners at the American Hardwood Export Council, Booth B20 Stand 2. This is our first foray into the Middle Eastern market, and we look forward to meeting and learning from the hundreds of lumber & manufacturing professionals who will be attending the Dubai Wood Show. See you there! …We also have to admit, we are also excited to be visiting Dubai, one of the world’s fastest growing cities and the business hub for the Middle East and North Africa.